This event "The Kids want Electro" @ Postbahnhof am Ostbahnhof has already ended on 10/02/2015. The deadline at our guest list has ended on 10/02/2015 at 8:30 PM. 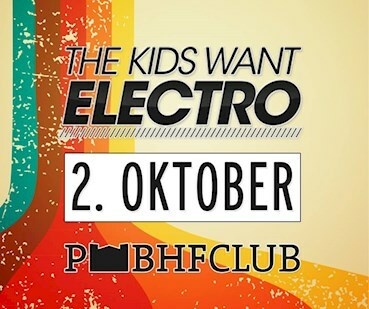 THE KIDS WANT ELECTRO feriert ab sofort jeden 1. Freitag im Monat auf 3 Floors.